Ca l’Antiga participates at the first “Maridatge dels sentits: flors, perfum i gastronomia” of Teià that will take place from 6 to 14 Mai with a fair, conferences, art and flowers exhibitions, perfume and aromatic tastes among other activities. 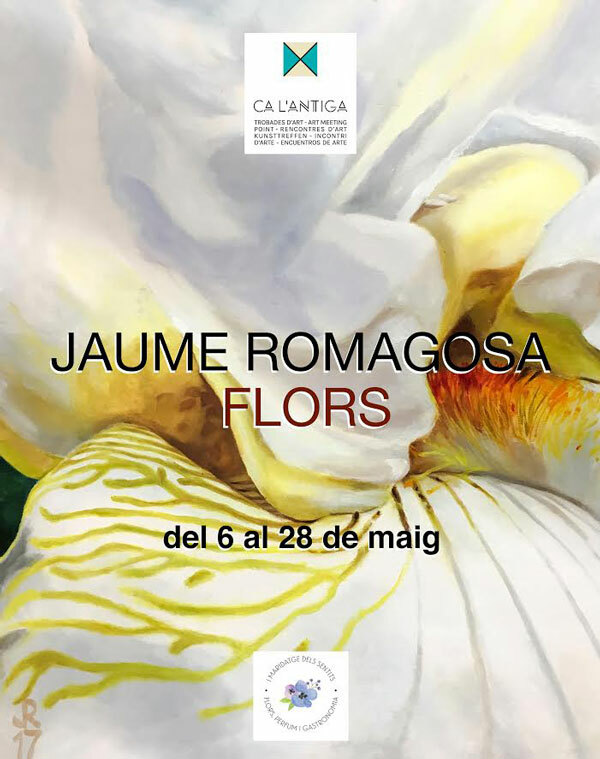 At Ca l’Antiga the programme include perfume presentation, taste of wines, flower exhibition and at the cellar the works of two artists: Josefina Ripoll and Jaume Romagosa. Josefina Ripoll is one of Teià flagship artists. She is well known as a great artist, as professor and as an art amateur. Josefina Ripoll could by no means be absent at the opening of one Spring Fair which probably will be the most important spring event in the Maresme, the Maridaje de los sentidos: flores, perfume y gastronomía in Teià, given that a large part of her numerous and appreciated work has been devoted to flowers. Jaume Romagosa loves gardens, especially the English gardens. He’s in love of them! But when in his paintings he takes short distance, without broad perspectives, ‘landscapes’ or overviews. Jaume offers us a happy vision of the flowers, individual, aromatic, colourful and detailed. Its flowers are not in a bouquet, they are individualistic, because only by being alone a flower can spread its fragrance, this specific perfume that sets it apart from other flowers. Jaume offers us a happy vision of the flowers, individual, aromatic, colourful and detailed. Its flowers are not in a bouquet, they are individualistic, because only by being alone a flower can spread its fragrance, this specific perfume that sets it apart from other flowers. Josefina Ripoll is one of Teià flagship artists. She is well known as a great artist, as professor and as an art amateur. She is also well-known by her paintings of flowers. Hand and brushes of Josefina Ripoll are light, quick but sometimes also lazy, full of colour but no fireworks. She is no seeking serenity because to take advantage of life we need energy as well as to paint flowers. To paint flowers it is necessary to look at, to touch, to feel and to love flowers! And the Josefina Ripoll has demonstrated that she had lots of devoted energy and everyone has seen the results in her work. A life of artist’s work. 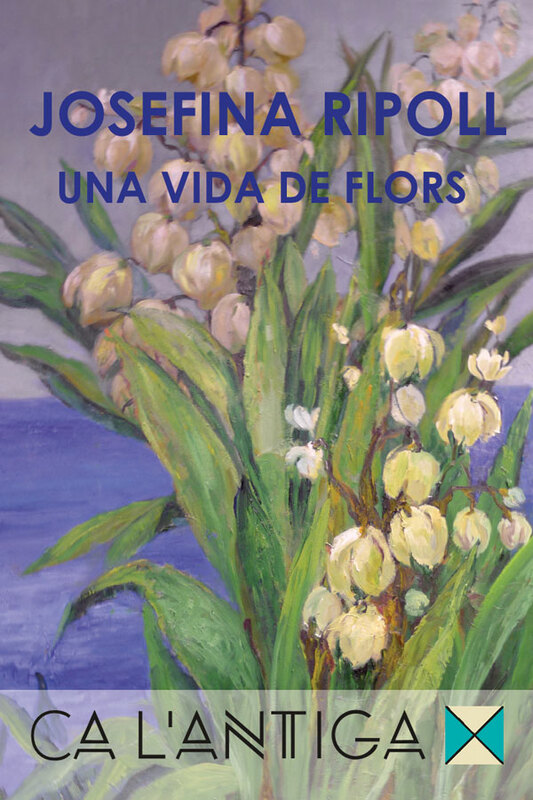 In the cellar of Ca l’Antiga we will be able to admire a selection of paintings of flowers by Josefina Ripoll, who gave us the honour to participate in this spring festival of Teià. With paintings by Jaume Romagosa. With paintings by Josefina Ripoll. Ca l’Antiga participates at the first “Maridatge dels sentits: flors, perfum i gastronomia” of Teià with exhibitions of artists Josefina Ripoll and Jaume Romagosa.